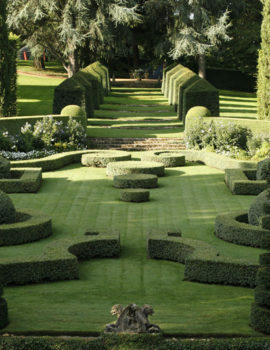 The parterre is a fundamental component of the ‘ornamental garden’. 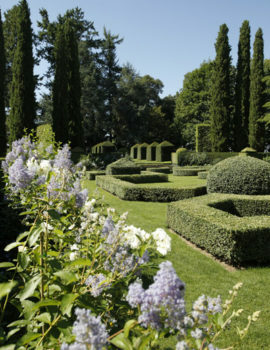 It exists in all garden styles, composed of boxwood, or of a single type of flower. 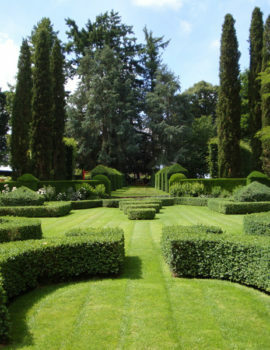 In the Middle Ages the parterre was basically four squares, bounded by low borders, either of wooden trellis or boxwood and modestly planted. With the dawn of the Renaissance, the designs became more complex, notably influenced by the illustrated Italian volume ‘Le Songe de Poliphile’, which overflowed with a variety of interlaced motifs. The Italian style predominated in France, evidence of which is recorded by the architect Androuet du Cerceau with the wide range of motifs in ‘Les Plus Beaux Bâtiments de France’. By the 16th century parterres were on a grand scale, a network of paths divided the space into regular squares or ‘flowerbeds’. 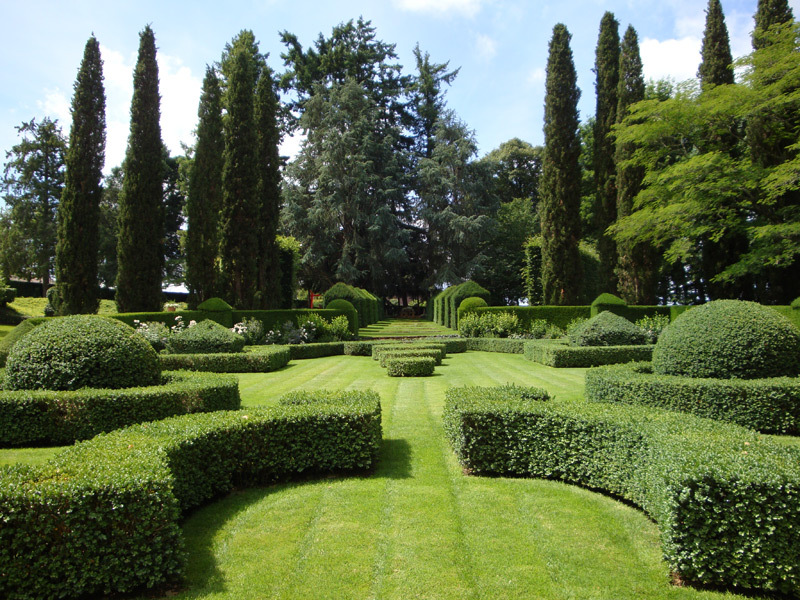 Each square was different both in the geometric design and the planting. 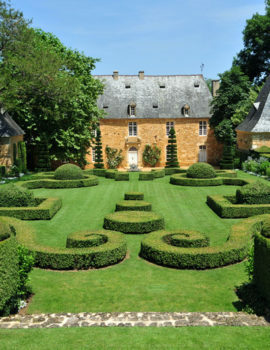 In the 17th century, under the impetus of André Le Nôtre, the flowerbeds appeared to stretch out to infinity and the arabesque motifs resemble those of lace. 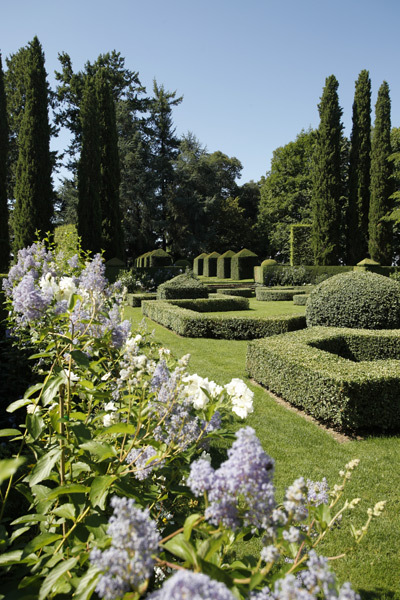 To create a contrast between the scrolls of boxwood and the backdrop of the flowerbed, the ground was covered with sand or crushed bricks. 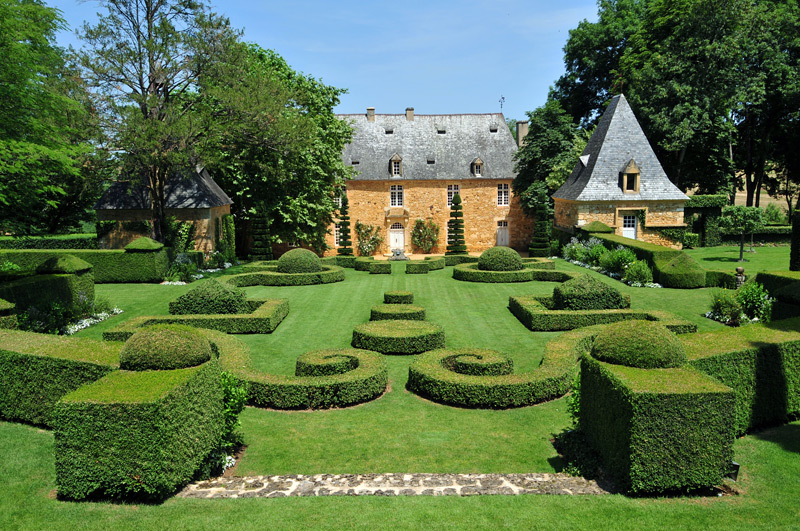 The French-style parterre is unusual in that it is designed to be viewed from above, either from a terrace or from the first floor, the so called ‘Noble Floor’, as in the case of the parterre at Eyrignac. 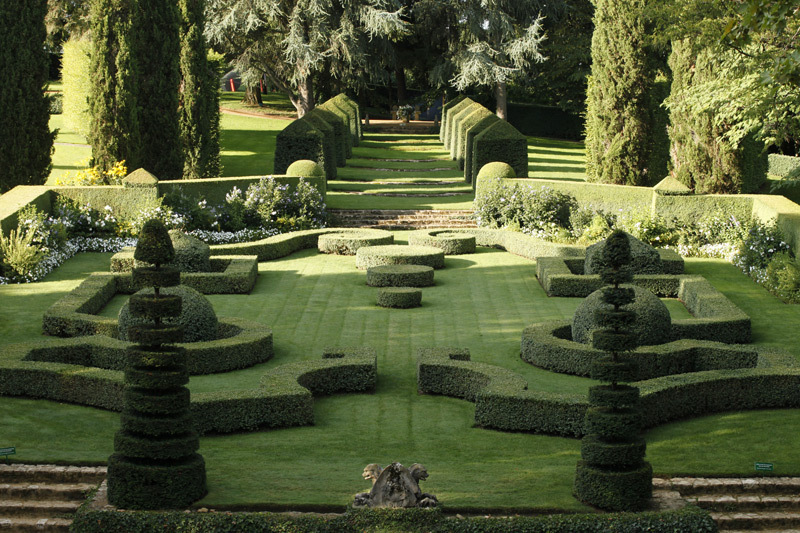 However, the parterre at Eyrignac deviates from tradition by the choice of turf, preferring the monochrome shades of green, instead of contrasting colours and materials. During the summer months, the parterre is embellished with flowers : roses, impatiens, potentilla in tones of blue, yellow and white.